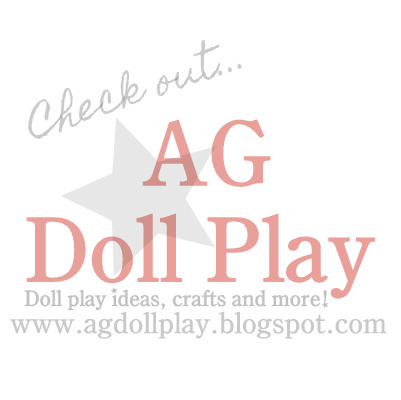 American Girl Doll Play: Making Surf Boards for our Dolls! Making Surf Boards for our Dolls! Another fun idea that we found from Doll Delight for our upcoming Aloha themed sleepover was to make surf boards for our dolls! So clever and fun! Their surf boards can be found here. We used theirs for our inspiration but made a few changes. We still used the foam core board but got some colored boards and for the stripes I used colored electrical tape. It was stretchy and was easier to "pull" around the edging of the boards as well...much easier than colored duct tape which is what I was originally going to use. We added some scrapbooking stickers too...some flowers and some flow-y words just for fun. Our surf boards are not as perfectly shaped as the ones used for our inspiration but we still think they will work just fine! :) Julie cannot wait to take her board out to find some waves! We also found a fun Hawaiian themed backdrop at the dollar store while we were picking up the foam core boards and electrical tape. I am not sure who is more excited for this sleepover...me or Zoey! Neat! I'm a huge Gidget fan and would love to make my dolls their own boards! Thank you for sharing. Thanks Melody! If you do be sure to share with us!